International Fairy Day has turned into International Fairy Week here at the Garden Sparkle workshop!!! The Flower Fairies have arrived and they are intent on spreading the joy, delight and magic of the fae! 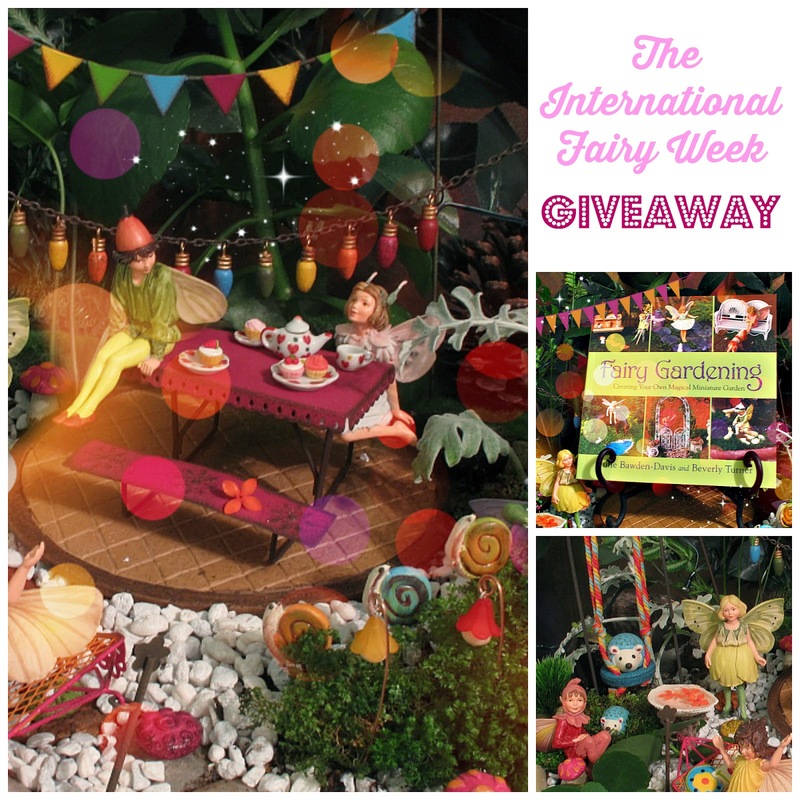 As part of this 'weeks' festivities we are giving away SEVEN gorgeous fairy garden accessories featured in this image (including a very special FAIRY GARDENING Book!!!) CLICK ON THIS LINK and it will take you to the Giveaway image. Follow instructions there to enter. Fairy Day is turning into Fairy Week!